I had never tried the brand Julep before. I'd heard great things though. 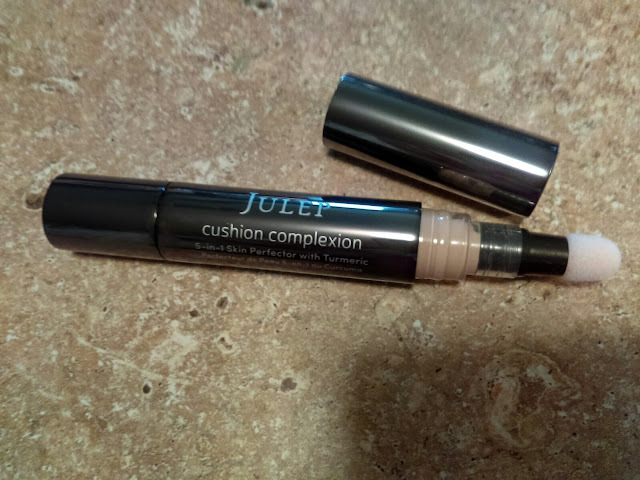 After being given the opportunity from Crowdtap, to use a few different Julep Cushion Complexion 5-in-1 Correctors and learning that they are cruelty-free, I will definitely be buying more of their products soon. I was sent five different shades. I'm very happy that they sent a variety, because my skin is always a bit hard to match. Aren't these tubes pretty? I love the overall design. This is what they each look like when opened. You twist them from the bottom and the product comes out through the top cushioned pad. You might need to twist it quite a few times in the beginning to get it started, but after that, I've found that you only need a bit of product to get the job done. I like that a lot. Here's a pic of me using it while out and about. We were staying over at someone else's place, while on a trip. 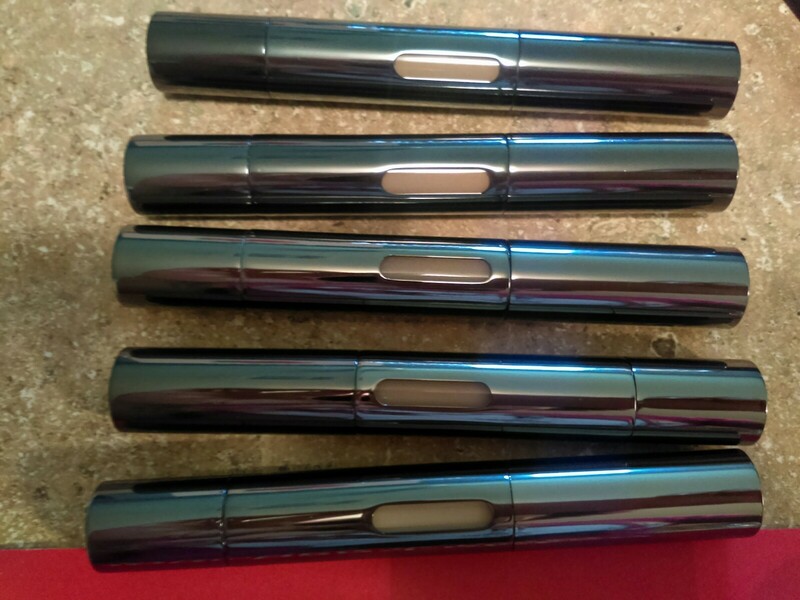 These tubes are extremely convenient because of their design and size. I was able to slip all of them into my makeup bag. Yes, I took all of them because being that they are different shades, I was able to do even more to my face. 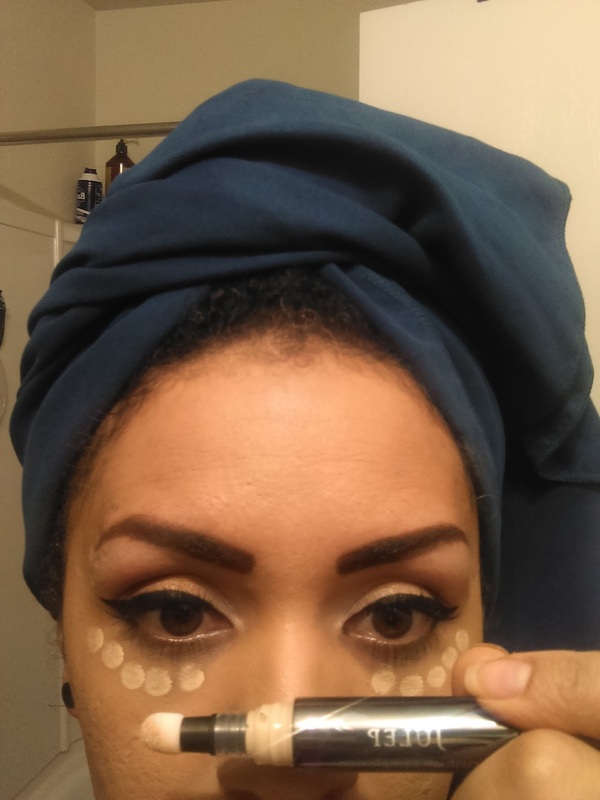 You can use only one to do magic on multiple areas of your face, or you can use the different shades like I do. I like to use them for concealing, blurring, and highlighting different areas of my face. This product blends easily and seriously works great on my skin. They have turmeric in them, along with some other ingredients that are good for your skin. I'm very happy with these correctors. 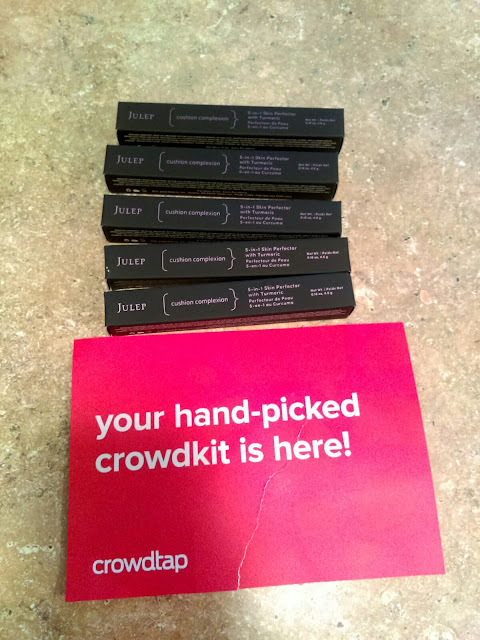 Disclaimer: Crowdtap sent me these products complimentary in order to facilitate my unbiased review.